Are you ready to see what acupuncture and Traditional Chinese Medicine can do for you? Here is your chance, click here and fill out the small form and we will send you a coupon for a Free Consultation, Evaluation, Pulse Diagnosis, and commuter assisted AcuGraph Meridian Energy Balance Testing valued at $150. You have nothing to lose! We will just sit down with you, answer your questions and see if or how we can help you. AcuGraph is the most advanced computerized acupuncture device in the world. It is a revolution in modern acupuncture, enhancing the effect of ancient techniques by applying modern science. This combination makes acupuncture treatment EASIER and MORE EFFECTIVE. 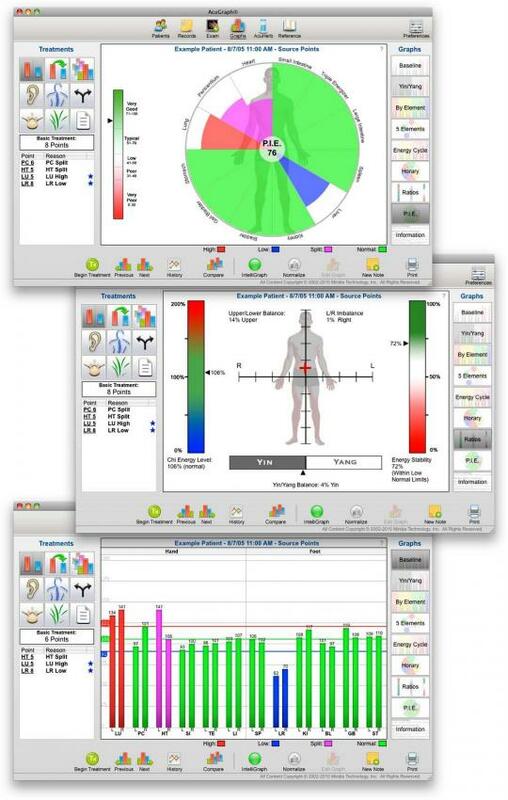 Providing evidence-based exam data and acupuncture point selection, AcuGraph is like a lab test for acupuncture! and interpretation of the patient’s meridian energetics in 9 different graph styles in a format patients readily embrace. The Personal Integrated Energetics (P.I.E.) score boils the results down to a single number patients readily understand. How Seasonal Acupuncture Can Help You in the Summer?